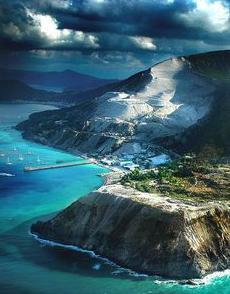 This murder mystery suspense novel transports the reader to present-day Lipari, one of the volcanic islands off the north coast of Sicily. 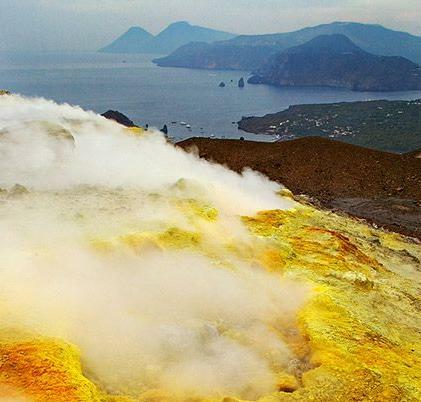 By the end of the book, this reader felt as if she'd been to Lipari with the protagonist, and had actually met all of the local characters he'd met. I found it to be a wonderful escapist tale, full of mysteries, discoveries and atmosphere. One short chapter in the beginning (there are many short chapters, by the way) sets the stage for the events in the present, by presenting a life-changing event in the past, suffered by a man from Lipari, an ancestor of the book's protagonist. Learning more about that ancestor, pushes Ric, and Anglo-Italian, to undertake his journey to first Corsica (in the previous Ric book, Mazzeri), and now to Lipari. Both the past and present in Italy are portrayed realistically, with a sharp eye for history and character and how the two can shape each other. The mysteries come quickly at the beginning of the novel, then the author unravels them carefully throughout the text, along with a few more mysteries along the way. What happened to Ric's ancestor? Why is Ric suffering a form of PTSD? What happened in Corsica, and who is the mysterious woman he pines for (if you haven't read Mazzeri)? 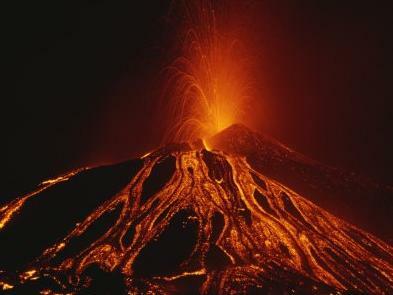 And then there is the murder, which is presented in a very unique way, soon after an erupting volcano jolts Ric awake. The text is dotted with Italian words, adding verisimilitude. The characters are each distinct, but not exaggerated into caricatures. The dialog is well done. There are action scenes and some in-scene violence. The present tense, which is used quite often these days, brings the story forward in time, creating a feeling of immediacy. And we get into Ric's head via the 3rd person limited narration. The beginning is especially fun, since the author very convincingly puts us aboard a sailboat that traverses the waters between Sardinia and Sicily, a route traveled since antiquity in a very similar manner. Ric unfurls the Genoa and hauls up the mainsail. The breeze through the islands is even and holds enough weight for three or perhaps four knots. He grabs a bottle of water from the cabin and swings the helm over to port: the promise of a square meal in Lipari appeals. 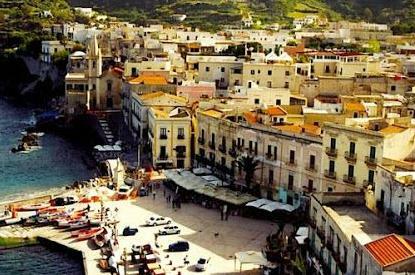 The author brings the reader to Lipari, introduces him, along with Ric, to many locals, then leads us all on a winding trail to resolutions of the mysteries. The pictures the author paints with his words are vivid and memorable. 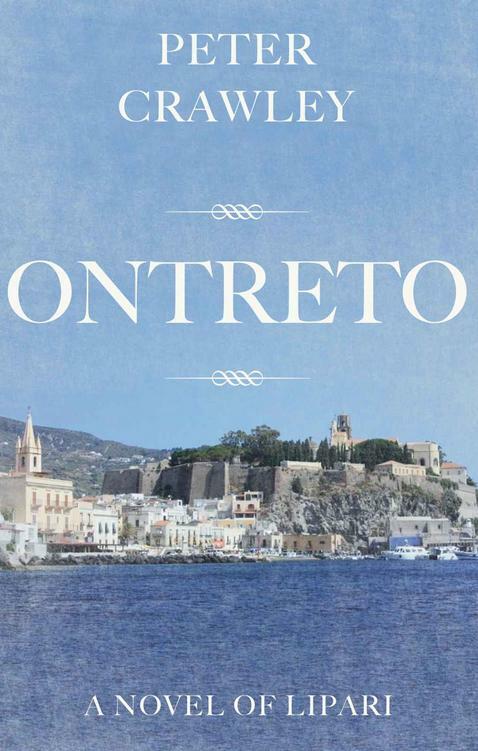 This murder mystery novel is a wonderful escapist tale for any Italophile. Richard Ross rubs his fingers over his scalp. His eyes sting from the salt and the hours of concentration and his ears buzz with silence. He can hear someone shouting. No, not one man, but two. They are arguing in Italian and their argument develops an angry, threatening edge. One of the men begins to scream and plead, “No, per favore, no, Ci–”, followed by a muffled choking and scuffling of feet. And then, silence: both profound and chilling, and pressed beneath the enormous weight of the fog. 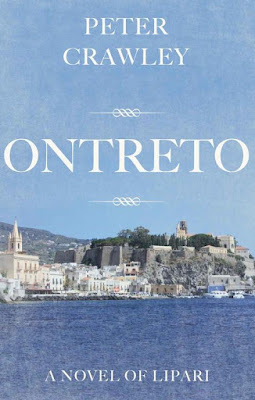 Ontreto is a contemporary crime thriller, told through the eyes of a young man who comes to the island of Lipari in search of his forebears. It is the standalone follow-up to Peter Crawley’s first novel, Mazzeri.